Term Insurance Brokers now offers help with Nevada health insurance! Since the implementation of the Affordable Care Act (otherwise known as Obamacare), the entire industry has changed dramatically. As your independent broker, we help guide you through the confusing maze of insurance companies, provider networks, tax subsidies, and how to get the best coverage for your designated budget and personal healthcare needs. You can get an instant Nevada health insurance quote by clicking the link above this article. What type of provider network are you comfortable with? Is a local HMO network acceptable? Do you want nationwide coverage access with a PPO network plan from Blue Cross/Blue Shield or United Healthcare? What is your preferred budget? What is the maximum you would want to pay? Does your employer offer health insurance? If so, what are the costs and benefits? TermInsuranceBrokers can help you compare. Do you prefer “catastrophic” coverage with a high deductible at a lower monthly price, or coverage with a low deductible, low-cost fixed copayments for health services, and a higher monthly price? We are independently licensed with many of the top health insurance companies in Virginia. The companies we offer coverage from include Aetna,Anthem Blue Cross/Blue Shield, Assurant Health, Health Plan of Nevada (HPN), Humana, Nevada Health Co-op, and Sierra Health. HPN and Sierra Health are both owned by United Healthcare. Sierra Health offers nationwide PPO network coverage using the national United Healthcare network, and HPN uses a local HMO network only with Nevada. The Nevada health insurance quote link can be helpful in getting started to compare plans offered by different companies. Health insurance is a complex product and it is our job to make sure you understand exactly what you are purchasing and answer any questions you might have. What is the maximum out of pocket expense? This is the most you will pay in total for the year, after which the insurance company pays 100%. The Affordable Care Act limits the maximum expense per person to $6,600 or $13,200 for a family. Maximum expense limits are indexed to inflation, so the amount will go up slightly each year. What coverage is offered for prescription drugs? Some plans have a fixed copayment for prescription drugs on a three-tier or four-tier system (for example – generics for $10, preferred brand name drugs for $30, non-preferred brand names for $50). Other plans require you to pay the entire policy deductible before receiving prescription benefits. What is the monthly premium? This is the amount you pay each month for your policy. If your household income is less than 400% of the federal poverty limit (about $95,000 for a family of four), you may also qualify for a subsidy that helps reduce your cost of coverage. 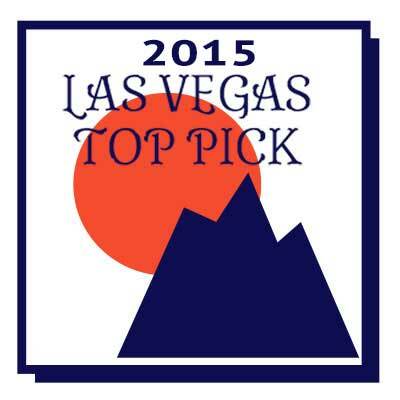 TermInsuranceBrokers.com has been awarded a Top Pick endorsement from Las Vegas Top Picks. We are the only website to be named a Las Vegas Top Pick for Nevada health insurance!